Daniel Peter is a photographer with petrol running through his veins. When he’s not shooting, he’s riding—and his ride is worth a close-up of its own. 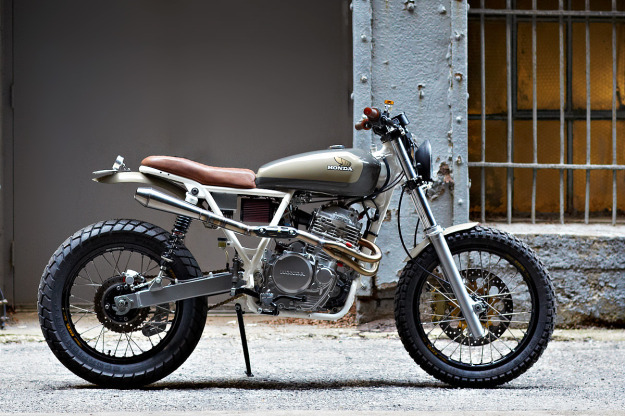 ‘Cabin Fever’ is based on a Honda XR650, although you’d be hard pressed to tell. Like its CX500 stable mate, the XR650 is one of those bikes often passed over in favor of more photogenic machinery. Daniel is good with his hands as well as his eyes, so he’s treated the Honda to a completely new subframe, suspended by twin YSS shocks. A custom seat nestles into the frame rails, upholstered in brown antelope leather by Janusz Kukulski. 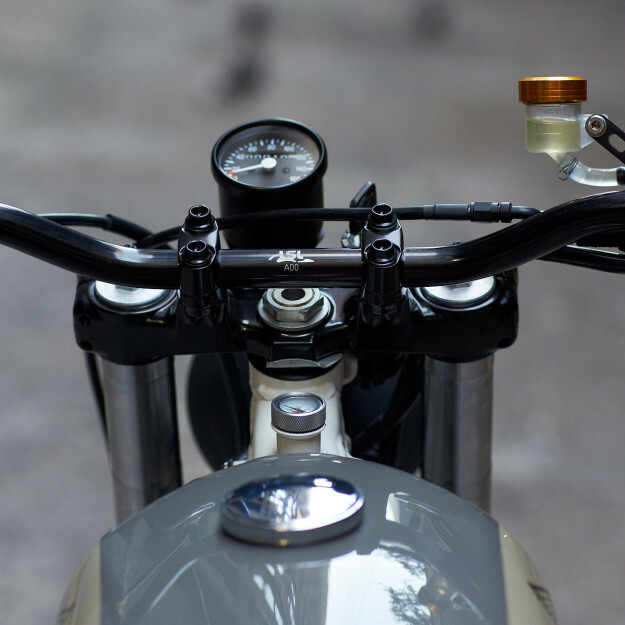 The front end now sports LSL Street Low bars—with brown Tommaselli grips—behind a Hella 500 Black Magic headlight. A compact Shorai battery hides in an aluminum box under the seat. 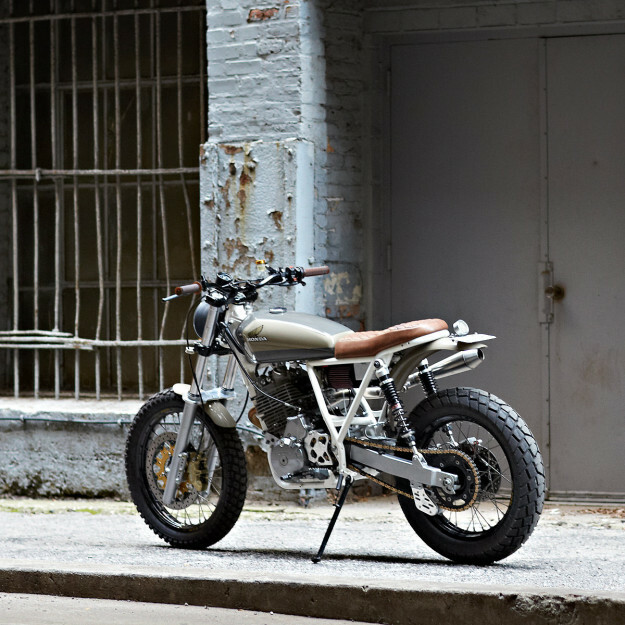 To boost performance from the 644cc air-cooled single, Daniel focused on the breathing. He’s ditched the stock 40mm Keihin CV carb and installed a 41mm Keihin FCR-MX flat slide, supplied with fuel via a high flow Pingel petcock. Gases now exit through a high-ridin’ custom exhaust: The 2-into-1 header has a slip-fit mid pipe, terminated with a 1.75” Cone Engineering muffler. Bigger upgrades were reserved for the suspension and brakes. Daniel has lowered the lofty stock forks by three inches, fitting stiffer springs and Race Tech Gold Valves for better damping. Stopping power now comes from 4-piston Brembo calipers, clamping on a 320mm floating front rotor taken from a Husqvarna SM610. (“I had to machine the XR650 hub and change the bolt pattern to match.”) Stock hubs are laced to classy Excel rims, using stainless spokes from Buchanan’s. 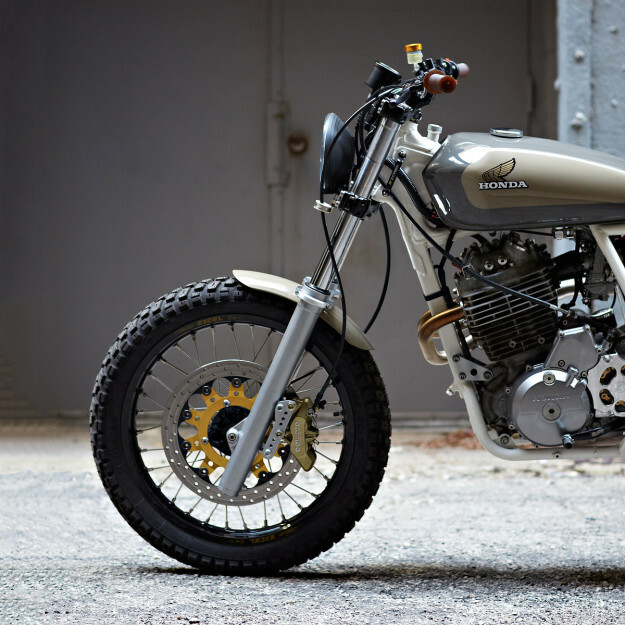 Daniel has given his XR650 the body to match its performance, with a low-profile Honda CG125 tank and shorty aluminum fenders. 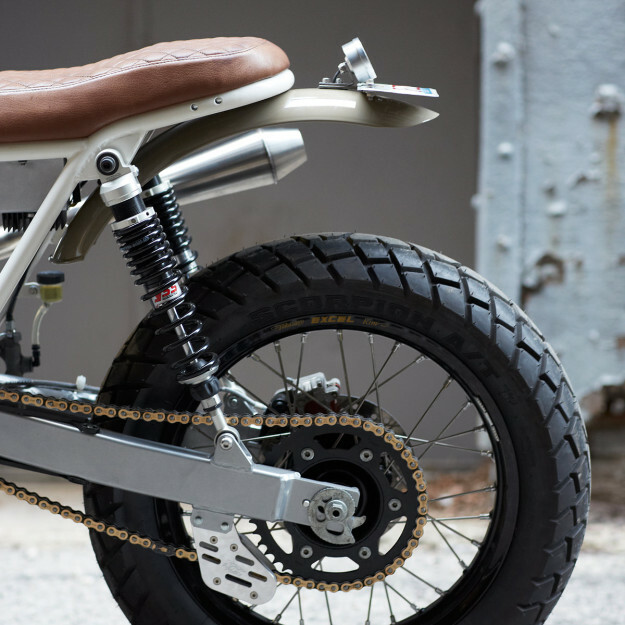 The dewy, subdued two-tone paint job comes from the Chicago specialist Polowy Fab & Finish. 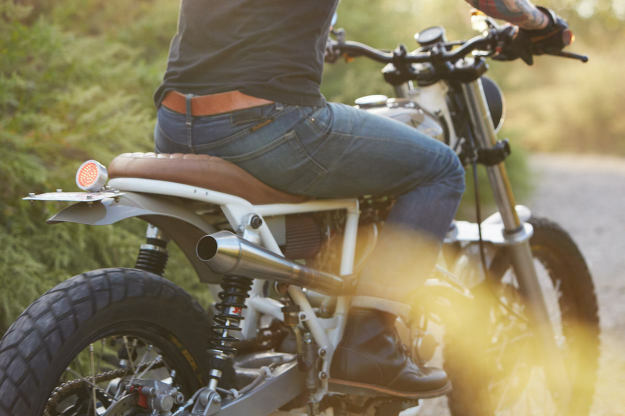 Back in 1992, Cycle World described the XR650 as “the most fun you can have on two wheels.” Daniel Peter has just ramped up the fun factor a notch—and turned the ugly duckling into a swan.